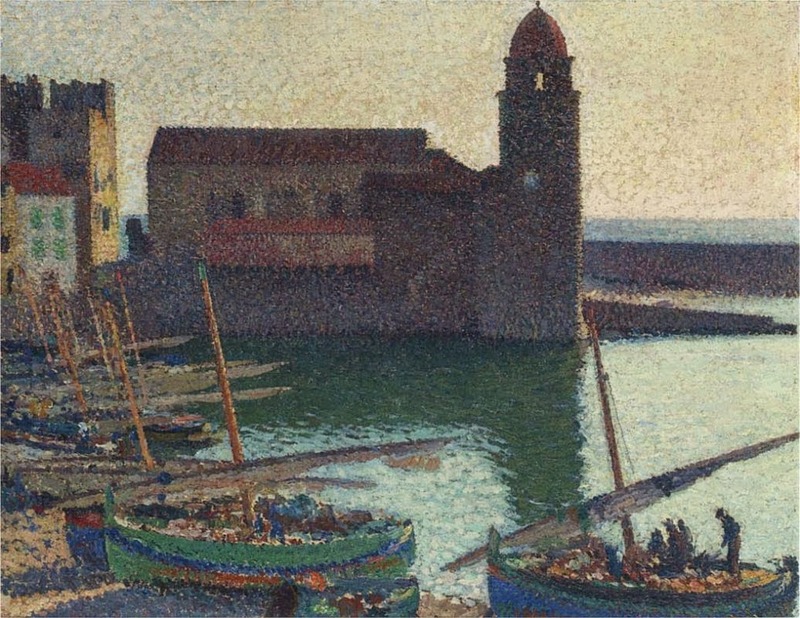 Painting by Henri Martin (1860-1943). This artist used an unadorned style, capturing the essence of what might be remembered about a scene if one were to recount it later. This dawn view of the waterfront suggests that the painter was as industrious as those manning the fishing boats. The remarkable clarity of the water surface provides one of those instances in which a great painting can induce the visual system to overwhelm other thoughts and makes you feel you are in another time and place.